If you found this gold pearl side tiara in an antique store, you'd think it was a precious heirloom. Simply exquisite, this antique gold tone pearl side tiara is the epitome of beauty. Inspired by precious vintage headpieces from the roaring Twenties with a hint of intricate Edwardian style and a subtle touch of the glamour of 1940's Hollywood, this exquisite design flaunts the beauty of past era's to perfection. 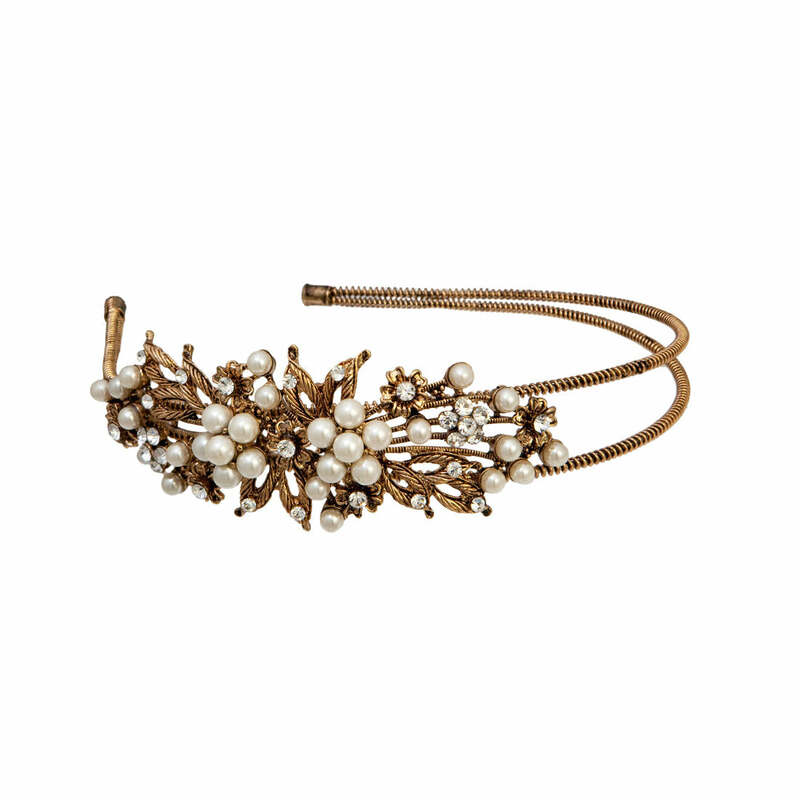 Featuring a floral design encrusted with sparkling clear Austrian crystals and pale ivory faux pearls and set a double antique gold tone band, this is a classic headpiece for black tie occasions, the races or to wear to a wedding instead of a hat. 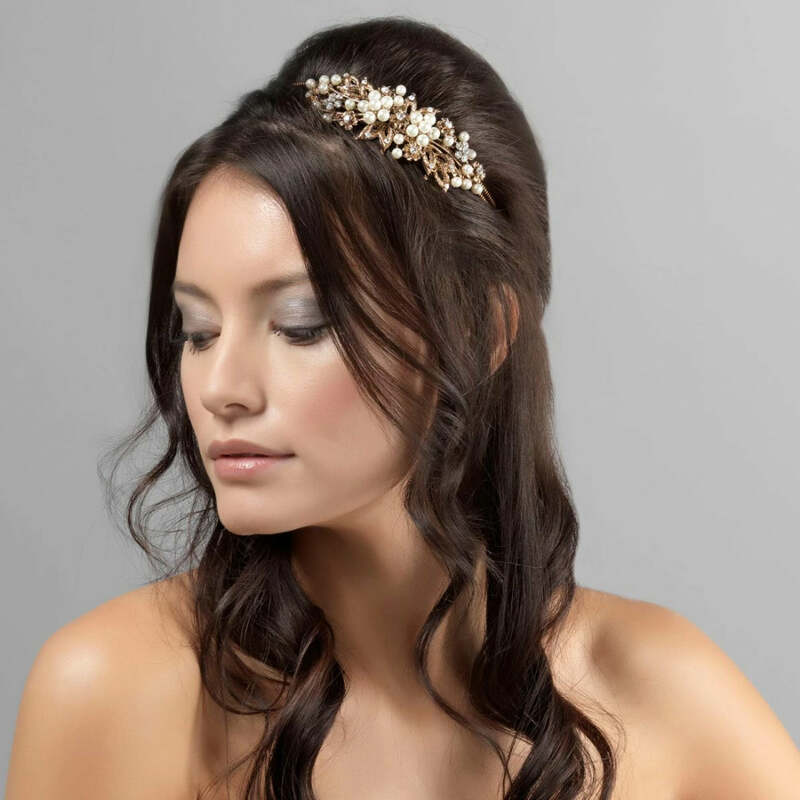 A timeless side tiara for brides wearing vintage style wedding gowns and who adore the romance of vintage hair accessories, it's a piece that makes a stylish and timeless statement. I have ordered this for my wedding day and when it arrived I was amazed! It was so beautiful and looked so expensive! The picture does not do it justice! I love it so much! This has just arrived today ready for wedding in 2 weeks time, it is absolutely stunning the image does not do it justice at all!! Am soooooo excited to wear it and will be sure to email you pix !